“Organising entertainment for a wedding or party can be very daunting, but Brent takes that whole stress away. He is amazing at making you feel understood and at ease. From our first meeting with Brent, he offered so much help and so many fun ideas that something overwhelming suddenly became exciting! We cater for all types of functions – and weddings are our speciality! 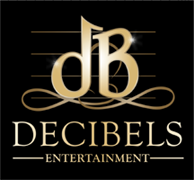 As a Decibels client, you will have access to our online planning system, where you can input all of the important information about your event and access our 250,000 song database. Be entertained by a professional suit and tie DJ with overhead LED lighting effects included at no extra cost. Decibels Entertainment can play a highly important role in making your wedding day spectacular. Find out more on our Wedding DJ/MC page. Use Decibels DJ Hire for your party and make sure it’s a night to remember! Find out more about our DJ Hire on our Party DJ info page. Let us add something special to your wedding or corporate event with a live guitar/vocalist to entertain your family, friends or clients. See the difference it can make on our Guitarist/Vocalist page. Take a look at our Video preview. 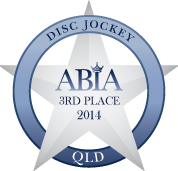 Read some of our Testimonials here and see what makes us Brisbane’s best DJ and Entertainment hire service. All Functions – Weddings are our specialty! Who is guaranteeing the success of your Wedding?